For the first time, I will be teaching a class at out local community college for the fall term. It is called Cornerstone here, and is the basic freshman success class that is now mandatory in many schools. I’m looking for suggestions from experienced teachers on activities and resources I can use besides lectures. I want to keep the students engaged. Some of the topics I’ll be covering are time management, diversity, critical thinking, financial literacy, and careers. What about it, fellow educators? Any ideas you’d like to share? It is almost back to school time here in Florida. This time last year, I worked at Florida SouthWestern State College in the First Year Experience office. 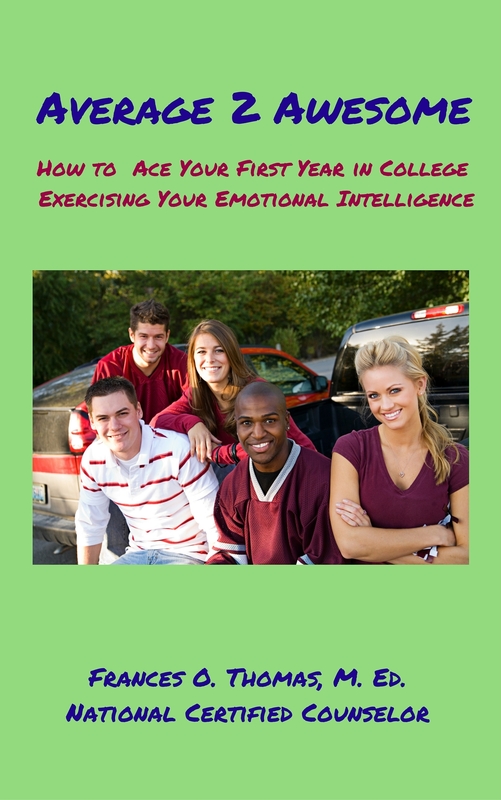 I have incorporated some of the material I used there into my new book, Average 2 Awesome: How to Ace Your First Year in College Exercising Your Emotional Intelligence. This is a quick read but packed with information to help students tap into the power of emotional intelligence to be happier and more successful. If you are about to embark on this exciting journey, or have a child or grandchild who is, this book is for you.